1) The origin of his funds is unclear from his bank statements. 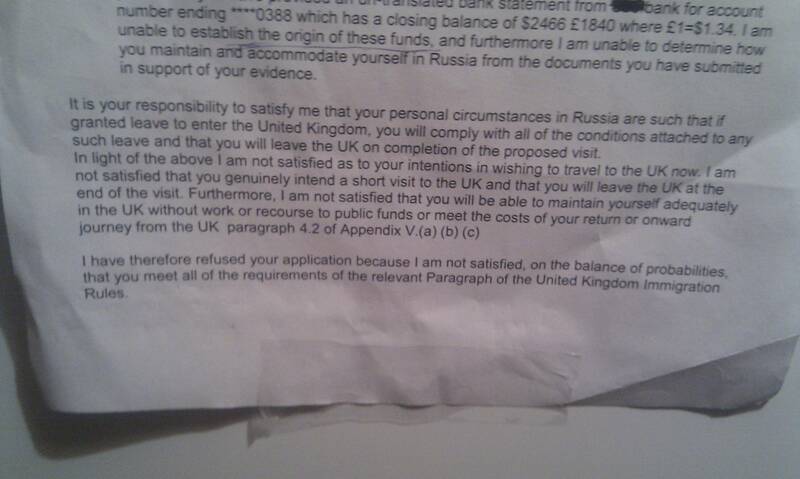 He brought money in cash from his home country and deposited this on arrival in Russia in 2016. So I'm not sure why this is being queried. What evidence is needed to show this? Bank statement showing deposit? 2) ECO is unclear how he maintains and accommodates himself in Russia. He maintains himself and pays for his student accommodation from his funds. What evidence is needed here? Receipt for accommodation? 3) ECO is not satisfied that he will return in light-of 1) and 2). He will return as he needs to finish his degree. Is this not satisfactory? They acknowledge that he enrolled as a student there. What evidence do they need to be satisfied? 4) ECO is not satisfied that he will be able to maintain himself for his trip and meet the cost of a return journey. I am hosting him so he does not have any maintenance or accommodation costs, which is actually acknowledged in the text of the letter by them, so I am not clear why this is an issue. He is buying a return ticket so why do they think he will not be able to afford this? He is bringing over £1,000 anyway, so this would cover a flight back. How much do you have to bring for a week's stay? He only needs some spending money for any shopping or sightseeing, travel dates, etc. I am accomodating him so there is no cost there. Again what evidence might satisfy them? Any advice would be gratefully appreciated so that we can make a better visitor visa re-application. He brought money in cash from his home country and deposited this on arrival in Russia in 2016 and so I not sure why this is being queried? What evidence is needed to show this? Bank statement showing deposit? He maintains himself and pays for his student accommodation from his funds.What evidence is needed here? Receipt for accommodation? At minimum there should be some explanation of income and expenses. He is a student in a foreign country with no income. So naturally they wonder how could he not only support himself, but also visit UK? They also are probably like to ensure he doesn't receive "unexplained" income. 3) They are not satisfied that he will return in light-of 1) and 2) --He will return as he needs to finish his degree. Is this not satisfactory? I know a few people myself who didn't finish their degree, and I presume they know way more than me. So no, just because someone is enrolled in university, doesn't mean he would return in time. In Russia a student can usually take a so-called "academical leave" to interrupt the studies for up to a year, if I remember. 4) They are not satisfied that he will be able to maintain himself for his trip and meet the cost of a return journey. ---I am hosting him so he does not have any maintenance or accommodation costs which is actually acknowledged in the text of the letter by them so I am not clear why this is an issue. Sponsorship applications for friends are very weak. The post above - again - lists some reasons, and I will add a few more. The weakest point of a "friend" type sponsorship application is their unreliability. We all know cases where friends turned enemies on a whim, in which case the sponsorship might naturally end, leaving your friend stranded in UK. Kicking out a family member on the street is much less likely (and even this occasionally happens! ), but kicking out a mere friend is more probable, and UKVI would probably like to see that your friend can take care of himself financially in such case. Finances seem to be the most important criteria for UK visa applicants, and your friend's situation doesn't seem to be good enough. Unsure a "better visa application" would make any difference until his circumstances changed. Not the answer you're looking for? Browse other questions tagged visas visa-refusals tourist-visas standard-visitor-visas or ask your own question. 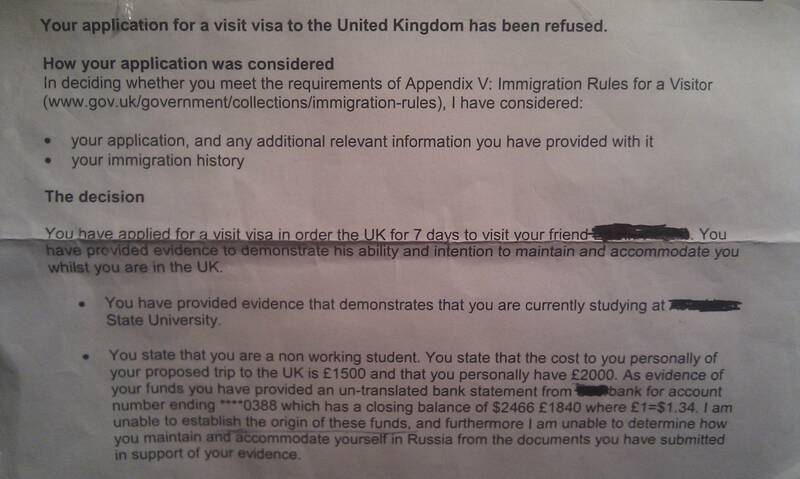 What “Reason for refusal” to give in visa form when reapplying for a Standard Visitor visa?